This version is out of print. The album is reissued in a deluxe 2-cd edition. 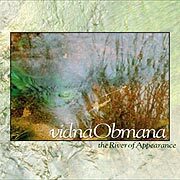 ”Nothing in Vidna’s previous releases will prepare you for the glories, the passion, and the transcendental beauties of this release. This is a crowning achievement; in the heavenly, soaring, shimmering, meditative vein. This is a must-haverelease for all lovers of space and ambient music.” – Bill Schroeder WEFT / Epiphanies Radio.